Well, I had it wrong…the pin-outs were as the datasheets showed. But I had to actually draw a picture of the device (both top and bottom view) to convince myself of what I was seeing. Long story short, it works as it should and I am happy with the results. Here is a pic of the PCB of the VFO and a pic of the output from T1 on my scope. The power out at 13 MHz is 640 mv peak to peak and 412 mv at 32 MHz. I was surprised that the second harmonic was way down in the noise floor, barely noticeable. Again, this as part of a project that Todd, VE7BPO proposed back in the winter months as a two part article for the Michigan QRP Club’s quarterly publication called the T5W. Todd did the first article that featured the divider portion of the project that follows this VFO. 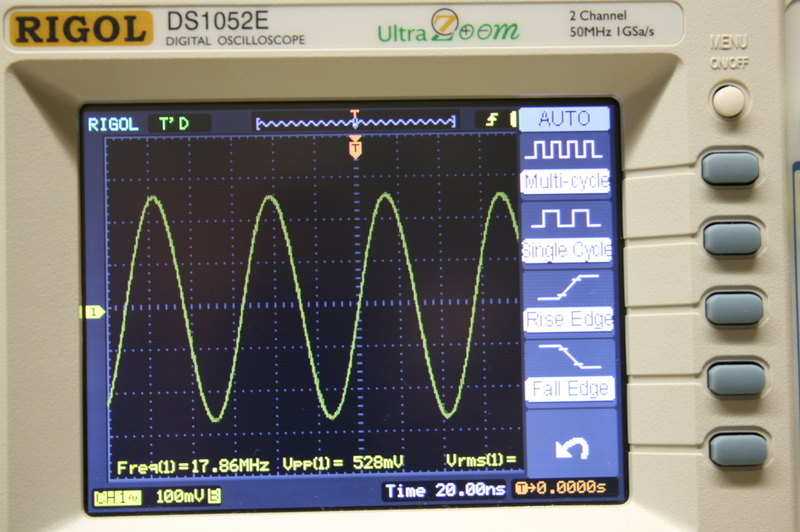 In a nutshell, the VFO produces a signal source from 13 to 31 MHz. The 20 meter segment is analog and the 40 and 80 meters segments are produced by the digital portions of the project by dividing the analog signal by two and four respectively. This project was originally conceived by Wes, W7ZOI…and reproduced my many others to follow him. 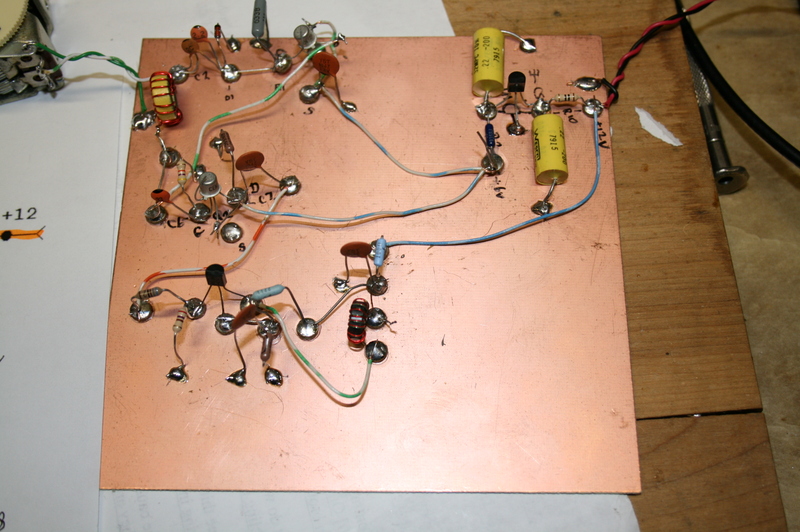 Though this project falls short in producing a lab grade signal generator, it does provide a great signal source for 3.5 to 30 MHz and can come in handy in the shack and on the workbench. My thanks to Todd for suggesting this project…I learned a lot and had a lot of fun getting there! This entry was posted on April 2, 2015 at 2:08 pm and is filed under 8640-jr, Projects, Test Equipment, Workbench. You can follow any responses to this entry through the RSS 2.0 feed. You can leave a response, or trackback from your own site.